Dr. Graham takes the time to explain the results of your eye exam, describe your options and listen to your eye care needs. Because maintaining good eye health is an ongoing partnership, we encourage you to ask questions and share your health information, which could be vital to monitoring, diagnosing and treating potential vision problems. Dr. Graham is a native Floridian born in Fort Myers. She grew up in Boca Raton, and graduated from Florida State University with a Bachelors Degree in Nursing. Dr. Graham later attended the University of Houston and achieved a Doctorate in Optometry. Dr. Graham practiced Optometry in South Florida for 17 years, until moving up to Central Florida. Dr. Graham started her own private practice in 2010 and currently employs 5 people. 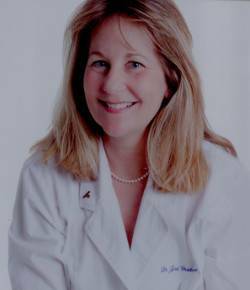 Dr. Graham has participated on many committees in her profession along the way, serving as the second female President of the Broward Society of Optometrists. Currently she is a trustee on the Board of the Central Florida Society of Optometric Physicians. She became certified as a Diplomate by the American Board of Optometry in September 2013. She volunteers as a vision screener for Special Olympics when they come to Disney's Wide World of Sports twice a year. Dr. Graham is also a member of the Central Florida Women's League.